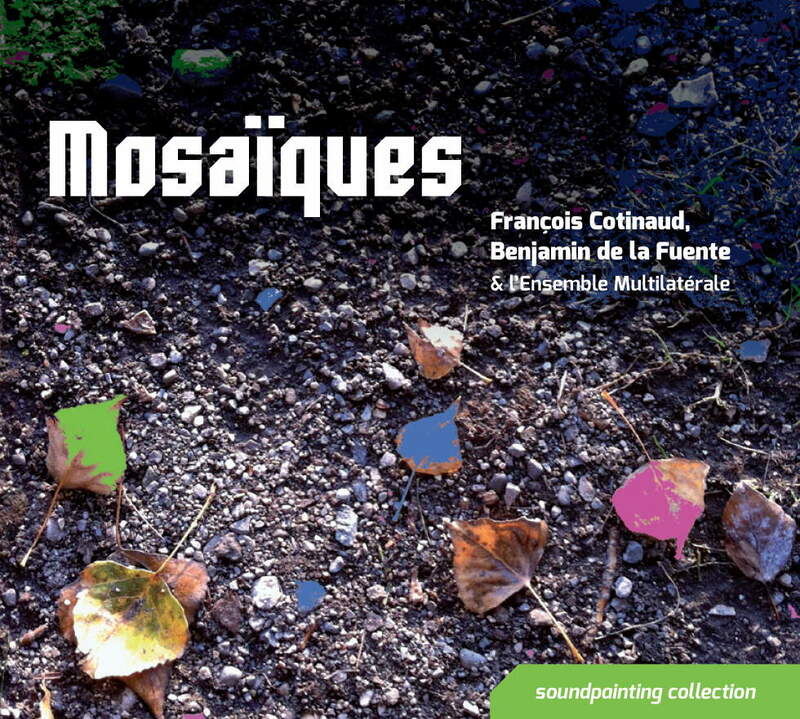 In this album, Benjamin de la Fuente and François Cotinaud further develop the Open Work concept launched much earlier by John Cage, Earle Brown (Open Form), Pierre Boulez, Karlheinz Stockhausen, Mauricio Kagel, and Henri Pousseur. In an Open Work the relation between composer and performer is redefined: both choose what path the work takes in a performance, rousing the listener’s awareness of this mobility. In Mosaïques, the work’s multiple pathways are traced by the soundpainter and the performers, who draw on compositional elements to improvise on, cite, modify, develop or transform. The soundpainter steers the performance continuously, changing tempo, orchestration, reference material, sound quality and phrasing, colour and disjuncture. The soundpainter and the performers thus act jointly and variously to craft a subtly different work at every concert. François Cotinaud, soundpainter, composer and musician, founded the Soundpainting Festival in Paris (2013 and 2014). He recorded the first Soundpainting CD in France with the Klangfarbe ensemble: Monologue de Schoenberg, Variations sur une collection de timbres. 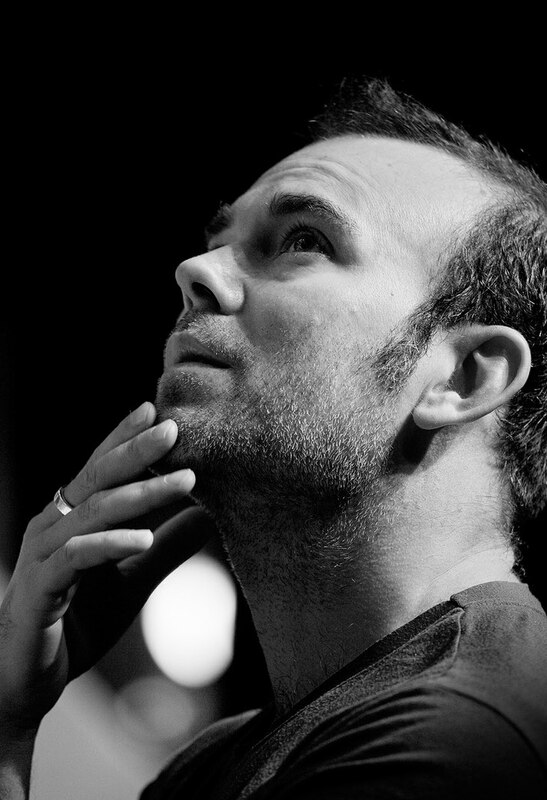 Benjamin de la Fuente is a composer who has been especially active in the bridging of written and improvised music. He has worked for the Orchestre National de Jazz, and with contemporary ensembles, including Ictus, TM+, and the Orchestre philharmonique de Radio France. He is also an improviser in his own right. With Bruno Chevillon, Eric Echampard, and Samuel Sighicelli, he founded the Sphota Company and set up the Caravaggio Project. The Ensemble’s repertory includes both the great works of the 20th century and those of a new generation of composers. Walter Thompson's Soundpainting is a universal multidisciplinary live composing sign language. Listen this musik needs Hifi equipment. 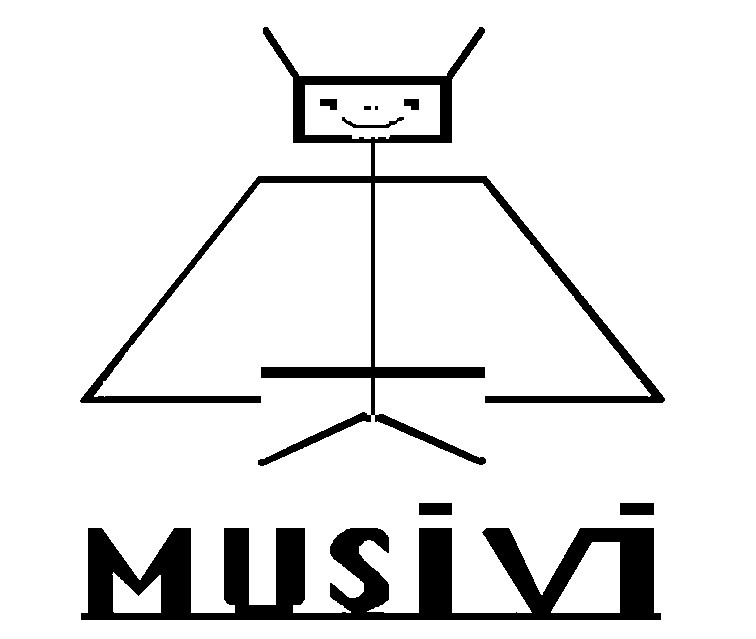 This record is one of the firtst recording of Soundpainting, in France, within a new collection of label Musivi.